Price Range £170 - £171Price RangeSimply drag the slider bar to set your price range. The N40-5 GT is a restyling of the Nolan N40 Full which confirms the much-appreciated technical characteristics of the previous model. 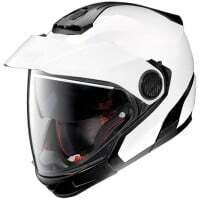 Upgrades include a renewed the upper air intake, peak, cover plates and the comfortable Clima Comfort inner padding. Double P/J homologation is granted with the detachable chin bar below the ultrawide visor giving exceptional fields of view. An adjustable drop down VPS sunscreen is also included. 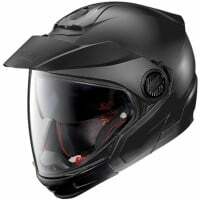 AirBooster Technology upper ventilation system enhances comfort. Being set up for the N-Com communication system, the N40-5 GT an interesting crossover for both scooter and motorbike riders.